Chandigarh 31st March:- Chandigarh Police Cricket team won the final match of CII Corporate Sports League-2015. The Final match was played between teams of Chandigarh Police and CII-Young India in floodlights at Cricket Stadium, Sector 16, Chandigarh on Sunday 29th March. Chandigarh Police team defeated CII-YI by 66 runs and lifted the winner's trophy. Chandigarh Police team won the toss, elected to bat first, and scored a 201 runs total in 20 over's match. Ramandeep made 93 and Jaswinder Singh made 63 with partnership of 119 runs contributed to the total of Chandigarh Police Team. From the bowling side of Chandigarh Police, Yashpal (Sr.) took 2 wickets, Balwinder (SR.)-2, Ramandeep-1, Balwinder (JR) – 1, Parminder – 1 wicket in this match. In reply CII YI could not reach the target and restricted to 135 runs only. Ramandeep Singh of Chandigarh Police declared as Man of the Match as well as Man of the series, while Parminder Singh of Chandigarh Police declared best bowler of the tournament. It was third time when Chandigarh Police lifted the final trophy of this prestigious tournament. Chandigarh 31st March:- India's finance leaders are most optimistic about growth in employment compared to any other country covered in the eighth annual Global Business and Spending Monitor - a survey of global finance leaders by American Express, carried out in partnership with CFO Research. 78% of finance leaders surveyed from India expect to see strong growth in employment opportunities as compared to 50% of the senior finance professionals from China and 61% from U.S. who responded. 72% of Indian finance leaders say that creation of new jobs will accelerate the employment in the country. Growth in existing businesses will also drive employment, according to 68% of those who responded to the questionnaire from India. A similar percentage felt that employment-related legislation and policy will be the other opportunity to drive the employment agenda of the country. Respondents from India also pointed to shortage in skilled positions (22%). Ms. Saru Kaushal, Country Business Head, Global Corporate Payments, American Express said, that as with the economic outlook, India is at the top of the list of countries anticipating rising employment. However, the survey points to the shortage of skilled positions. We're confident that with the government's increased focus to make India Job Ready, this gap will be bridged soon. Advancement in technology could also positively impact the job market in India, according to 58% of those who responded from India to the online survey. Increasing employee satisfaction is also on top of the agenda for 44% of the Indian finance leaders polled. While the survey exhibits optimism for the job market in India it also gave some insights on finance professionals' role in the decision making process within the companies. This role goes beyond the finance function into overall strategy for the company. Every Indian senior finance professional agreed that their opinion will carry weight on the strategic and operational decisions taken by companies. In fact, a majority envision career paths that take the CFO from finance into broader corporate leadership roles. Three-quarters of this year's respondents (75%), from India, say that they believe it is likely that their company's CFO will eventually seek to become a CEO or move into an equivalent role. Chandigarh 31st March:- Director PGI Prof. Yogesh Chawla, honored Dr Lakhbir Kaur Dhaliwal, Professor & Head, Department of Obstetrics & Gynaecology and eleven officers/officials on their superannuation today by presenting mementoes to them. Sushil Thakur, Financial Adviser handed over beneficiary cheques comprising GPF, gratuity and group insurance. Respective Heads of Departments wished them well in life by presenting bouquets to them. Chandigarh 31st March:- After getting the overwhelming response from the Tricity residents during the last 2 editions of the show has brought the third edition of CII – DITP "THAILAND TRADE SHOW" back to the city. Being organized jointly by the Department of International Trade Promotion (DITP), Ministry of Commerce, Government of Thailand and the Confederation of Indian Industry (CII), the five day show on Wednesday, 1st April at Himachal Bhawan in sector 28, Chandigarh, will make the residents once again experience a whiff of Thai business, Thai products and Thai culture, in addition to live Demonstrations like special Thai cuisines, fruit tasting, Thai cultural performances and Thai massage from 10 am to 8 pm till 5 April 2015. The visitors will get a glimpse of exotic Thai products like Herbal Cosmetics (Makeup, Skin Care, Body Care & Toiletries) Handicrafts, Artificial Flowers, Vases, Jigsaw Lamps, Wooden Carvings, Jewellery & Fashion Accessories, Kitchenware, Ladies Purses, Handbags, Garments, Footwear etc. A Special Business Matching Session (B2B session) to promote business ties would also be organized on 1st April from 2 pm - 4 pm at the venue. S S Bhogal, Chairman, CII Punjab State Council informed that Business to Consumer (B2C) show will see 36 Thai Companies exhibiting in around 50 stalls. Around 90% of the exhibitors are women entrepreneurs. In addition there will be cultural events on all the days including walk around performances by the Thai artistes at Himachal Bhawan. He added that India and Thailand share many civilization commonalities as the people of Thailand are largely followers of Buddhism which originated in India. The two countries share extremely cordial relation and are working together on number of international platforms such as ASEAN, East Asia Summit and BIMSTEC, among other. There is immense tourist traffic to Thailand from India which can be further increased after the land route through the Northeast is inaugurated. This show is step further to strengthen the ties between the Punjab & Thailand. Dr Chavalit Rojjanaprapayon, Minister Councillor, Royal Thai Embassy said that the Thailand Trade Show, beginning Wednesday, would showcase mainly finished products from Thailand, along with fresh fruits from his country. This edition of the fest will be special in terms of many attractions like authentic Thai Cuisine, Thai Fruits and Live demonstration of Thai massage. We wish to see more business contact happening between the two countries especially from Punjab. The reason for choosing Chandigarh is because we think Chandigarh is the Gateway to North India and the people of the Chandigarh and neighbouring cities i.e. Panchkula, Mohali love shopping and travelling and Thailand is one of the favourite destination for Tourists. He added that we see a lot of business potential in Northern India, and this Thailand Trade Show is the step towards exploring this potential. Chandigarh 31st March:- Chandigarh police arrested 4 persons named Shankar, Narinder, Bablo and Ambresh from different areas of Chandigarh and recovered total 193 quarters of Country made Wine from their possession. A Case FIR No. 138 U/S 61-1-14 Excise Act has been registered in PS-11 and Mani Majra Chandigarh. All the Accused were later on bailed out. Further investigation is going on. In another Chandigarh Police has solved out one accident case, which occurred near SGGS Light Point, Chandigarh. On the complaint of Naya Gaon resident Tavleen Singh who alleged that driver of Tata Safari No. HR-03M-8649 namely Jaskaran Singh Resident of Mani MajraChandigarh hit his Verna Car No. PB-27C-7555 near SGGS Light Point, Chandigarh. Resultantly, four persons of both vehicles got injured and admitted to GMSH-16. A Case FIR No. 130 U/S 279,337 IPC has been registered in PS-26, Chandigarh. Accused arrested and later on bailed out. Chandigarh 31st March:- University of Nicosia will be collaborating with colleges in and around tricity to enable more job opportunities for students. The University also plans having tie-ups with several universities in the region. 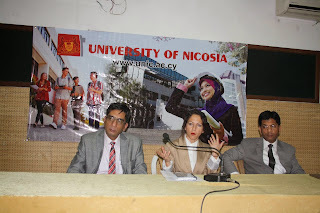 While sharing the information with media Marianna Michael, Senior Admissions Officer for the International Department at the University of Nicosia, said, that the University of Nicosia is the largest non-state university in Cyprus, offering Degree programmes at Bachelor, Masters (both ground based and Distance Learning) and PhD level. It has since been established as a leading tertiary co-education provider in Cyprus after dedicating many years in forwarding its abilities to reach out to other nations. She added that the University of Nicosia is now devoting the time to enhance their collaborations with other Universities in India. She said that the University of Nicosia recruits new students from India every year, and are now seeking to expand and enhance its ties with universities in Cyprus and is seeking the opportunity to cooperate with universities and high schools in Chandigarh and region as a whole with the purpose of increasing student recruitments. In pursuit of the above, the University strives to promote research and the generation of knowledge for the benefit of Cyprus and chosen university partners in Europe, the EURASIA region, the wider Gulf region and Internationally. University of Nicosia is accredited worldwide and has built many lasting relationships with institutes around the globe. Marianna said strengthening the University's' relationship with India will bring great benefits to both countries alike. Students will be given the opportunity to pursue active learning and career building. Looking at the region we found high literacy rate in Chandigarh and the states of Punjab, Haryana and Himachal Pradesh because of which we thought of collaboration with reputed colleges here, which will enable students to advance their careers anywhere in the world. Ashok Sharma, In Charge for North India, University of Nicosia informed that the University was in talks with Sri Guru Gobind Singh College, Barnala and Sachdeva Group of Colleges, Kharar while several other colleges in the region have been contacted, names of which would be revealed once official tie-ups are done. Vijay Alreja, Country Manager, India, Admissions Department, University of Nicosia, The University of Nicosia has grown over the years and now offers Academic Programs under 5 Schools namely, School of Business, School of Education, School of Humanities, Social Sciences and Law, School of Sciences and Engineering and School of Medicine. He added that the University attributes some of its success to some of its more prosperous programs including, Business Administration, Computer Science, International Relations, Oil and Gas Engineering and Nursing. Chandigarh 31st March:- Dr J P Modi Lifetime Achievement Award 2015 by the Indian Association of Medico-Legal Experts has conferred Dr J P Modi Lifetime Achievement Award 2015 to Prof. Dalbir Singh, Head, Department of Forensic Medicine, PGI, Chandigarh, in recognition of his outstanding academic, clinical and research services to the specialty of Forensic Medicine and Toxicology during the International Conference on Legal Medicine, Medical Negligence and Litigation in Medical Practice & International Conference on Current Trends in Forensic Sciences, Forensic Medicine and Toxicology held in Madhya Pradesh. Prof. Singh has more than 150 research papers published in national/International journals. He is presently President of Indian Congress of Forensic Medicine and Toxicology, Vice President of Indo Pacific Association of Medicine Sciences and Law, Vice President of the Indian society of Toxicology. He has been the Vice President of Indian Academy of Forensic Medicine, Secretary General, Indo-Pacific Association of Law, Medicine and Science. 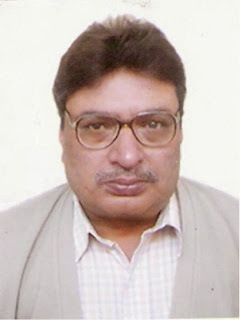 He has also been Editor-in-Chief, Journal of Indian Academy of Forensic Medicine. He is the fellow of Indian Congress of Forensic Medicine & Toxicology, Fellow of Indian Academy of Forensic Medicine and also the Fellow of Indian Association of Medico Legal Experts. He is also on the editorial board of almost all the Indian journals of specialty of forensic medicine. Chandigarh 31st March:- The Punjab Education Department conducted a Public meeting to settle all those cases pertaining to the employees of education department upon which Hon'ble Courts has announced its verdict. Disclosing this here today an Official Spokesperson of the Education Department said that in the public meeting 50 such cases were presented before the committee and out of it 32 cases were disposed off. The meeting was conducted on the directions of Dr. Daljit Singh Cheema, Education Minister, Punjab. The public meeting was presided over by C. Roul, Principal Secretary and was attended by Pardeep Aggarwal, DGSE, Gurdeep Singh, Special Secretary, Harbans Singh, OSD (Litigation), Balbir Singh Dhol, DPI (SS) and Mrs. Darshan Kaur, DPI (EE). He said that pending cases were forwarded to the appropriate authority to take action in light of the decision of the Hon'ble Courts. 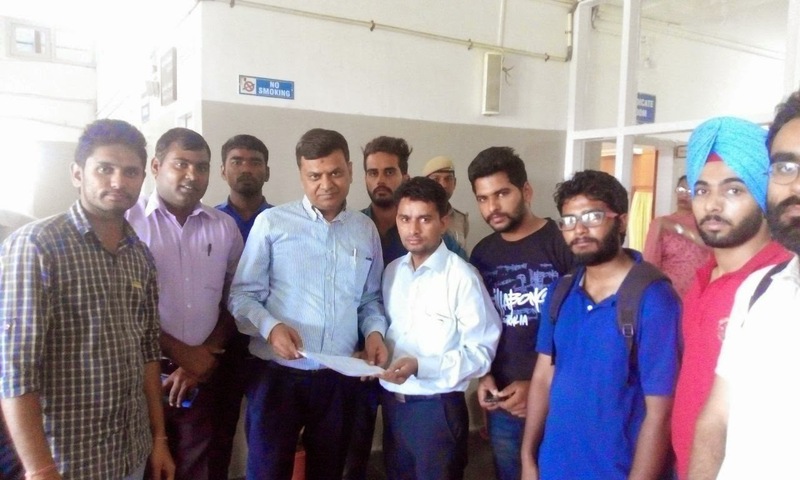 He further said that apart from these 50 cases the grievances of another 54 employees were listened to sympathetically and the concerned authorities have been asked to take action for the redressal of grievances. Chandigarh 31st March:- The Department of social welfare, Chandigarh administration today launched one of its kind Women Employment Web Portal in the city by the name of Mahila Rozgar, an initiative that would go a long way in meeting the aspirations of millions of women residents of Chandigarh. The portal was launched by the Adviser to the Administrator, Vijay Dev, at UT Guest House. The Web portal was formally Launch in the presence of Secretary Social Welfare, V Lalramthenga, Director Social welfare, Tilak Raj, and Senior Officials Of Departments of Chandigarh administration. The web portal, Mahila Rozgar has been desgined and developed by Beta Soft Systems pvt Ltd headed by Ashwin Das , Managing Director, BSS. Chandigarh has a large population of educated youth and women form the majority of them. This portal will provide them a unique opportunity to register themselves and seek prospects ike never before. Also with the number of youth joining the India workforce increasing in the next ten years, the portal will ensure good job opportunities just a click away. The portal will provide platform exclusively for women who are residents of U.T. The website has been conceived through the efforts of State Resource Centre For Women (SRCW) and District Convergence And Facilitation Centre (DCFC) which are the units of Chandigarh Child & Women Development Corporation, (CCWDC) an undertaking of Department of social welfare working for the empowerment of of women under mission Poorna Shakti. The web portal aims to act as a link between women residents of Chandigarh seeking employment in organized and unorganized sector and prospective employers and provide a strategy and policy framework for providing employment to women. It will directly provide a platform for women to register them and seek employment. Also the employment providers will be able to register themselves and seek candidates for the available jobs easily. The portal will also help in convergence with various departments/organizations working directly or indirectly and to facilitate women to get gainful employment. The website is unique in its structure will a user friendly interface, significantly enhanced features and a better user experience for candidates and recruiters both. The Honourable Adviser speaking on the occasion congratulated the Department of social welfare on this unique imitative and expressed hope that this portal opens a new window for opportunities for women in the city beautiful. On this occasion Neelam Singla, Chairperson said that the aim of camp is to spread awareness amongst the students the importance of Blood Donation as each drop of blood donated can be a life saver. A Poster making competition was held at the moment .students portrayed many attractive, meaningful, and inspiring. Sukhdev Kumar Singla said that Donating blood is like gifting a new life. Blood donation is a noble act, as losing just a pint of blood would make no difference to a healthy individual, while a needy patient may get a new life. Chandigarh 29th March:- Students of Oakridge International School brings laurels to the tricity by achieving Gold medals International Olympiad of seience, English math and Cyber. 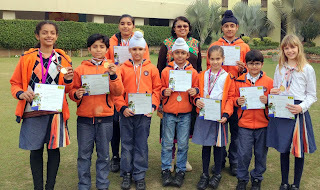 Students of the school won eight gold medals in Science Olympiad, seven gold medals in mathematics olympiad, seven gold medals in English Olympiad and one gold medal in Cyber Olympiad as well. Besides this Rehnaaz Kaur and Keiryn were awarded with Medal of Excellence, and Merit certificate as well as Participation Certificate. Principal of the school Ramanjit Ghuman congratulated the students and said they always stressed on over all development of the students that's why in their School knowledge is not limited to bookish information only. While speaking on this moment she blessed students for their future. 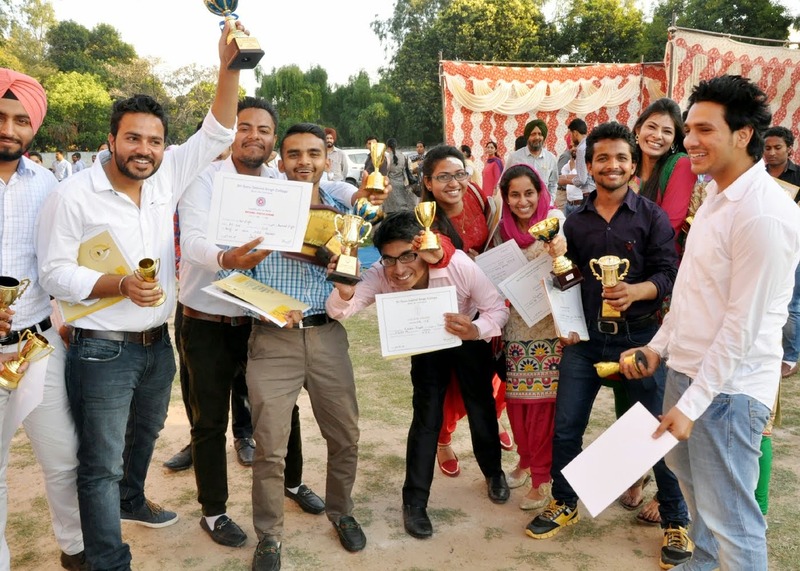 Chandigarh 29th March:- Chandigarh Group of Colleges Jhanjeri has awarded as the Best Emerging Engineering College of Punjab due to excellent faculty, unparalleled academic results, appreciable achievements in sports & extracurricular activities and placements. 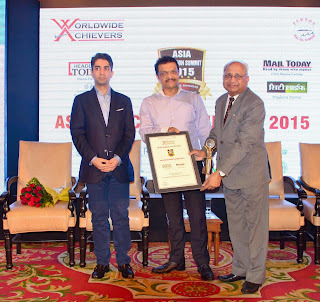 This award is given by worldwide achievers. Apart from academics, the students have won a number of medals in various inter-college sports, athletic and cultural events organized by PTU & other leading colleges. Speaking on the occasion Rashpal Singh Dhaliwal, President CGC said that it is a matter of great pride that CGC Jhanjeri has won this prestigious award. Dr. G.D. Bansal, Director General said that CGC Jhanjeri has won awards for being the Best Maintained Campus of Punjab, B- School Leadership Award and The Most Innovative Group of College's in Punjab this year as well. Chandigarh 29th March:- Max Super Specialty Hospital ( MSSH), Mohali organized a health seminar on 'Depression in elderly, a growing epidemic' today at Max Hospital. Around 110 senior citizens from tricity attended the seminar. Speaking during occasion, Dr. Sachin Kaushik, Sr. Consultant, Department of Psychiatry, MSSH said that the latest evidence showed that 1 out of 5 elderly Indian was suffering from a psychiatric disorder. Chronic stress could be a harbinger for most of depression related disorders among elderly. In fact this disorder has become more common and was hugely unreported. He informed further, diagnosis of this disorder was vital as it was completely treatable. However if remained untreated it could lead to serious impairment in quality of life, ability to work or loss of identity. Dr. Sachin Kaushik further said that persistent low mood, easy fatigability, loss of interest in previously enjoyed activities was indicators of depression and should not be taken lightly. Psychiatry has progressed tremendously in recent decades to emerge from a stigmatized, neglected branch to one of the most relevant medical branches of current times. Talking about geriatric psychiatry or psychiatry in elderly, he said that senior members of society have specific kind of psychiatric problems for which specific kinds of treatment was required. Aged people commonly suffered from masked depression like depression hidden by plenty of unexplained somatic complaints, vague headaches, body aches, memory disturbances etc. Also common illnesses of old age like diabetes and BP could either cause depression or worsen it. He said that the 'mind-fullness based stress reduction' technique including 'mind-full walking' and other meditation helped a lot in dealing with this disorder. He remarked that bringing lifestyle changes such as indulging in yoga and forming sr citizens clubs to maintain healthy social relationships would go a long way in dealing with depression. Chandigarh 28th March:- Chandigarh police arrested Jagtar Singh and Ajay of Mauli Jagran, Chandigarh from in front of their houses and recovered 57 & 47 quarters of Country made Wine from their possession. A Case FIR No. 160 U/S 61-1-14 Excise Act has been registered against both of them in PS-MM, Chandigarh. Both the Accused was bailed out. Further investigation is going on. Chandigarh Police solved out one theft case in which Panchkula Resident Vinod Kumar alleged that BDC, Sector-26, Chandigarh resident Sandeep Sharma stolen battery of his Bullet M/Cycle No. HR-49C-7908 from backside of SCF No. 39, Grain Market, Sector-26, Chandigarh on 27th March. Accused has been arrested in this case. A Case FIR No. 128 U/S 379,411 IPC has been registered in PS-26, Chandigarh. 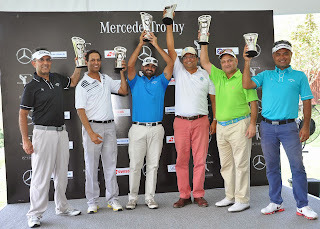 Chandigarh 27th March:- Arvind Sethi from Pune along with Sandeep Garg and Anuj Khera from Delhi NCR claimed the winner's spots at the 15th annual edition of MercedesTrophy India National Final held at the par 72, 7020 yard Oxford Golf and Country Club in Pune. These winners will now go on to compete at the MercedesTrophy World Final at Stuttgart, Germany in October where they will compete against winners from 600 tournaments played in 60 countries across the world. The MercedesTrophy National Final was played in a Stableford format across three handicap categories (0-11, 12-16 & 17-24). Playing in the 17-24 handicap category, Pune golfer Arvind Sethi (handicap 19) won his spot with a score of 41 points as he made nine pars to finish 6 points ahead of second placed Nitin Bhangey (35 points) from Pune. Chandigarh 27th March:- Sri Guru Gobind Singh College Chandigarh organised the Annual Prize Distribution Function for the session 2014-15. The function began with the holy lighting of the lamp by the Chief Guest, Suresh Arora, IPS, DGP (Vigilance), Punjab. Suresh Arora, himself being an alumni of the college, enlivened the memories of olden days while addressing the students through an inspirational speech. As many as130 students securing positions and merit in annual and college exams were awarded with prizes. A number of students who had performed well in various categories including academics, cultural and sports were felicitated with Roll of Honour (19), College Colour (62) and Certificate of Merit (71). All round student of the year award Col. Mehboob Singh Trophy carrying a cash award of Rs. 25000 was entitled upon Sumit Kumar. The best student from Science department Sumit Bhatia was given a cash prize of Rs. 21000. Also two meritorius students from Commerce, Kamalpreet Kaur and Amrit Lal, were alsogiven a cash prize of Rs. 5100 each. Gurdev Singh (IAS Retd. 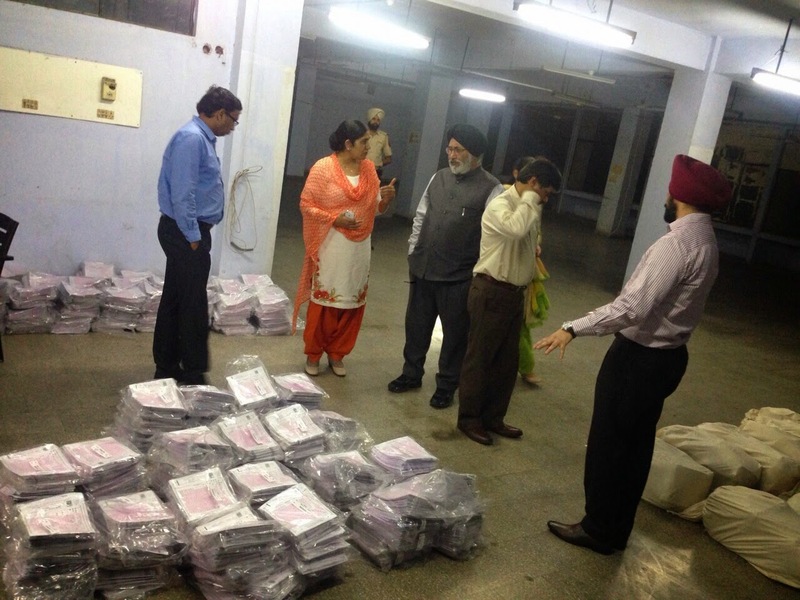 ), President, Sikh Educational Society (SES), and Jasmer Singh Bala (Col. Retd. ), Secretary, SES were also gracred the occasion. The function was organised with the all out efforts of the teaching and non teaching staff under the expert guidance of Dr. Inder Pal Singh Sidhu, Registrar, and with the due help and encouragement from Prof. M.S. Marwaha, Principal. Chandigarh 27th March:- The BJP workers has been assured to solve the issues raised by them by Union Minister of the law and Justice Sadananda Gowda, in a meeting held at the Party Office Kamlam sector 33. Sadananda Gowda was attending the meeting with the party workers along with Chandigarh BJP Unit President Sanjay Tandon, in -charge Aarti Mehra, Senior leader Satya Pal Jain, Advocate General Haryana Baldev Mahajan, General Secretary Prem Kaushik,Chandra Shekhar and Arun Sood. Sanjay Tandon while welcoming Sadananda Gowda said soon after the formation of the Government many Union Ministers visited party office to hear the problems, demands and the grievance of the workers. The visits yielded good results. Sadananda Gowda Gowda earlier visited the residence of Sanjay Tandon where Tandon presented a picture of Sai Baba to him. 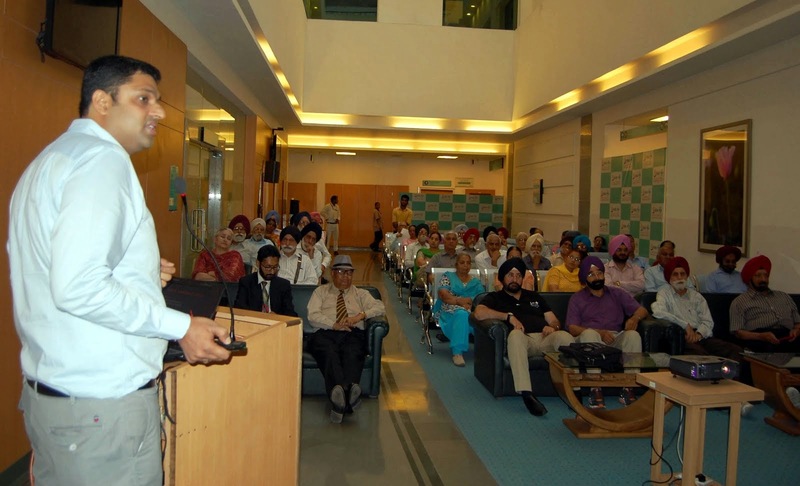 The convener of the legal cell Pritam Saini raised issues of the city advocates. He demanded to allot the land for the residence of the advocates as their numbers have increased. He also demanded to make the arrangement for the loan to the advocates. He also stressed the need to have better co ordination between the legal cell and the law ministry so that the issues of the advocate can be sorted out smoothly. Sadananda Gowda also thanked Sanjay Tandon and Aarti Mehra for organizing the meeting which enables him to understand the problems of the workers. Sadananda Gowda expressed the desire to visit the city again. On this occasion Aarti Mehra congratulated the workers for conferring the Bharat Ratna award to Atal bihari Vajpayee by President of India. Chandigarh 28th March:- With the efforts of Sanjay Tandon President of Bharatiya Janata Party, Chandigarh Bank Holiday has been declared by Chandigarh Administration the event of Ram Navami. Before this holiday was declared only for Government Offices but not under the negotiable Act. For this Act for this kind Dr. A.P. Sanwaria Spokesperson BJP Chandigarh thanked Chandigarh Administration also Sanjay Tandon President BJP Chandigarh. Chandigarh 27th March:- JSAC has started a massive protest against the fee hike issue at the VC office. This protest was joined by the student organisations - SFS, INSO, PSU, HSA, NSUI, ABVP and SFI. University authority sent the Dr. Navdeep Goyal, DSW, Panjab University, Chandigarh to the spot. He assures the JSAC representatives that he will represent the students in the upcoming senate meeting which is going to be held on March 29, 2015. For this JSAC give him written representation with the demands to stop fee hike and to explore the other income sources for university. 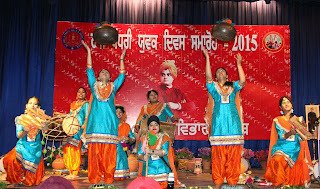 Chandigarh 27th March:- Hundreds of young men and women today took pledge on the National Youth day to follow the teachings of Swami Vivekanada at the colourful event organised here by the department of youth services, Punjab. 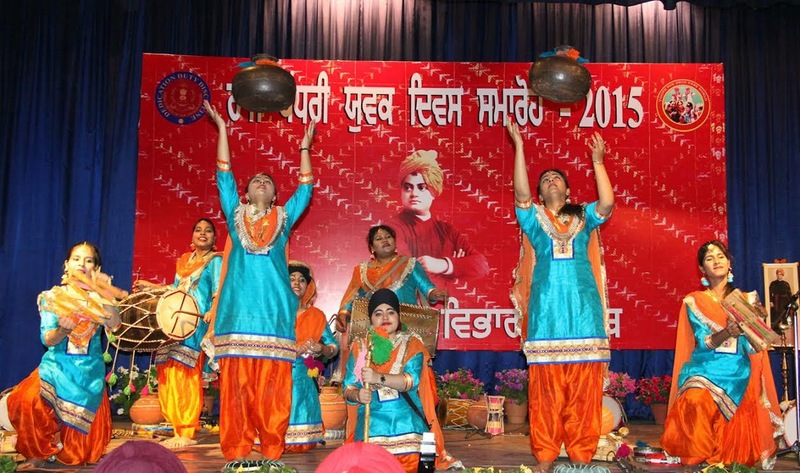 The event marked vibrant display of various shades of state's culture and art. Punjab Youth Services Secretary Ashok Gupta exhorted the youth to adopt service to the needy and the poor as their ideal following the path shown by Swami Vivekanada rather than personal comforts. He said the state government would do everything possible for the welfare of the youth, their education and provide all the facilities to encourage sports and skill development. Department Director Hirdaypal welcomed the guests and informed them about the activities of the department. About 100 persons donated blood at the blood donation camp organised at the venue. Madan Mohan Mittal, the chief guest of the ceremony said that the young graduates passing out today have the responsibility to regenerate, renew, refresh, restore the depleting resources and work towards a sustainable future. I am hopeful that the young graduates passing out today are prepared for this vital task. In his inspiring speech he laid emphasis on the power of youth considering the youth of today as their greatest power and advised them to come up with cutting edge initiatives to deal with various issues that the world is facing, and be able to meet up societal needs in the future with the help of latest technology. He congratulated the institute on its different spheres of achievement and wished the graduates to do well and excel this level of education with flying colours. His speech was greeted by loud applause from the gathering. H.S. Bains said that it is indeed a privilege to be conferred with such an honor by DGC. I am convinced that the graduates passing out today will show the way forward. I must take this opportunity to convey to them that the real learning starts today because next level from now will change your course of life as you will take important choices for life. He advised the students to believe in themselves because there is something in them which is greater than any obstacle. All the guests were formally welcomed by S. Manjit Singh, Executive Vice Chairman, DGC said that he would like to congratulate the students who are graduating today. Commencing the convocation ceremony, Dr. H. S. Batth, President, Doaba Khalsa Trust in his presidential remarks stated that it was a historical moment for all of them. Dr. Daljit Singh, Director General, DGC while presenting annual academic report of the institute highlighted some of the laurels earned by the shining stars of DGC. more than 500 participants of different trades. The institute offered degrees of M.Tech and B.Tech in the four disciplines of Mechanical Engg, Electronic and Communication Engg, Computer Science & Engg, Information & Technology. The institute also offered BBA, BCA, MBA, B.Pharmacy and B.ED degrees to the pass out students in the convocation. Dr. Meenu Jaitly, Director-Principal, Doaba Business School, proposed vote of thanks. Chandigarh 27th March:- With an objective to impart knowledge on green building concepts and share best practices in green buildings, considering its huge relevance in making Chandigarh the first smart city of India, Ministry of New and Renewable Energy (MNRE) Government of India and Confederation of Indian Industry (CII) - Indian Green Building Council (IGBC) organised a Training Programme on Green Buildings at the CII NR Headquarters in sector 31 here today. A K Jaswal, Chairman, IGBC Chandigarh Chapter mentioned that IGBC with the support of Government & other stakeholders, is spearheading the green building movement in India. Today, India with over 2.68 billion sq. ft with 3,088 IGBC registered projects has the second largest green building footprint in the world. He further added that today, going the green way is not only an imperative for a sustainable tomorrow but it also makes good business sense. It can significantly add to the top and bottom lines of a company, especially in the medium to long term. Chandigarh which is more suited for services and light engineering sector has immense potential in this area. The green agenda needs concerted and collaborative efforts of all the stakeholders including support from Administration and the initiative from industry. To pursue and promote growth in the most sustainable manner in Chandigarh, it is imperative to make the processes more participatory and sustainable. Amarbir Singh, Chairman, CII Chandigarh Council, underlining the need and importance of green buildings mentioned, that green buildings not only address ecological issues and concerns but will also significantly promote the health and wellbeing of the occupants. The need of the hour is to go back to our roots, rediscover our rich architectural heritage and promote buildings which are ecologically superior and economically viable. Jit Kumar Gupta, Co-Chairman, IGBC Chandigarh Chapter mentioned that IGBC foresees that next decade will be remarkable for integrated sustainable built environment. This will mostly be in form of the large integrated townships, green & smart cities and sustainable affordable housing. He also introduced IGBC Green Schools Program initiated by IGBC to seed the ideas of green in young minds. Encouraging and inspiring the young minds go green way will go a long way in preparing the young children for a future that would be bright & prosperous. 10 such MNRE & CII – IGBC Training Programmes on Green Buildings would be organised in different cities across the country that focus on sustainable architecture & design, site selection & planning, water conservation, energy efficiency, building material & resources, indoor environmental quality, innovation and case studies on green buildings. Chandigarh 27th March:- Atticus International School- a unique Pre Primary school in Zirakpur, was inaugurated by Krishan Pal Sharma OSD to N K Sharma, Chief Parliamentary Secretary, Punjab Government. He was accompanied by Chand Rana, Chairman, Marketing Committee, Derabassi. Atticus International School is a venture of Shishu Niketan Public School, Sec 43, Chandigarh. Dr. Ashish Sharma, Director, Atticus International said, that we are working on a mission to provide an enjoyable and inspiring educational experience to children – one that will encourage and facilitate them to realize their full potential and enable their overall development. Atticus International has opened facilities to offer top-of-the-line education for Pre Primary classes – Playway, Nursery & Kindergarten. We will soon be announcing addition of primary & junior school to our unique educational infrastructure. Daycare facility, which allows the child adequate sleeping, playing and learning time is also provided since we understand it is the need of the hour with nuclear families and working parents. Dr. Sharma further added that the focus is not just on mental development but also Physical growth & well being. The overall development of child will be ensured to create responsible global citizens of tomorrow. At Atticus we believe kids learn best when 'they are not being taught.' Our approach to infant development is one of learning through fun and play. Krishan Pal Sharma said that Zirakpur is expanding fast and there is need of such schools meeting international standards for providing a firm base to a child's education and holistic growth. Chandigarh 27th March:- CRB has always been a pioneer in introducing innovative method of learning and realizing the far reaching impact of Vikalp system on students for this fundamental subject; CRB School is proud to be the first school to introduce it in tri-city. To make students efficient in mathematics and also to conquer the so called phobia of learning mathematics Vikalp brings in a holistic solution for Students. It is just not dependent on one tool (Abacus for example) or technique but solution encompassing tools, application and assessment. The Principal of CRB public school Sangeeta Mittal announced that in the coming academic session of 2015-16 it would be introduced from Nursery to Class 2. To make learning easier a Vikalp Math Resource Center is being set up in school which is absolutely "free of cost" for its students. Parents would receive a quarterly diagnostic reports of their child online, enabling the parents to understand the focus area of improvement and associated remedial to take further action. 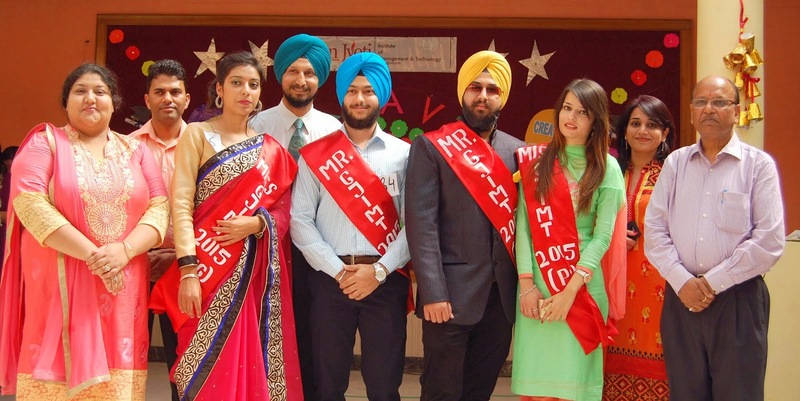 Chandigarh 27th March:- The students of Gian Jyoti Institute of Management and Technology, Phase-2, Mohali arranged a fantastic and superb Farewell Party function for the outgoing students. Various Cultural items were presented on this occasion. The function began with the performance of Deepshikha ceremony. The cultural programme comprising skits, mono-acting and songs was interspersed with delightful modern and traditional dances. The comedy highlighted the role of professionally educated people in the modern day society. One minute games were arranged to fill the moments with mirth and laughter. MCA, MBA final year students coordinated with their juniors in organizing the Event which was a grand success. Programme which stole the show was the cat walk selection of Mr. and Miss GJIMT from the group of 120 contestants. The most exciting item was endowing titles on the seniors. All the students were felicitated with souvenirs and gifts. Pooja was declared Ms. Farewell & Milandeep Singh was declared Mr. Farewell in Undergraduate level while Jasmeen Kaur Pannu was declared Ms. Farewell & Varinder Pal Singh was declared Mr. Farewell in Postgraduate level . The function concluded with an address by the Chief Guest J.S.Bedi where he congratulated the passing out students and advised thto demonstrate an ethical and professional behavior while performing their role and responsibility in the corporate sector. Chandigarh 27th March:- Dr. Daljit Singh Cheema, Education Minister, Punjab has conducted a surprise check, in view of ongoing 10th and 12th board examinations in the secrecy branch of Punjab School Education Board, Mohali. During the visit, he was accompanied by Ms. Tejinder Kaur Dhaliwal Chairperson, Punjab School Education Board, C. Raul, Principal Secretary, School Education and Pardeep Kumar Aggarwal, Director General School Education. Education Minister has checked the branch between 10 PM and 11 PM and all the staff members were present on duty. The Minister has ordered to officials for ensuring the declaration of 10th and 12th class results within the stipulated time period. While expressing satisfaction on the functioning of branch, Dr. Cheema said that surprise checks would also be made during table marking as well. Hailing the initiative of table marking, the Minister ordered to maintain the guidelines in true spirit and manner to make it a success story as the table marking is being done for the first time. He said that the main behind this move was to ensure the declaration of results as early as possible so that the vacant time between result and new academic session could be minimize. Chandigarh 26th March:- Celkon Mobiles (www.celkonmobiles.com), today launched the new Millennia Q450. With this Celkon continues to deliver cutting edge features packed smart phones accessible to all income groups under the budget range. Celkon's new Millennia Q450 is set to be the most stylish and feature loaded Kitkat model sub 5K in the quad core segment. Millennia Q450 is a dual SIM model powered by 1.3 GHz Quad Core processor. The Kitkat model supports WIFI, Bluetooth A2DP and 3G video calling. The highlight of Millennia Q450 is its 4.5" Capacitive FWVGA, IPS Display which provides amazing clarity. The model is backed by a powerful 1800mAh Lithium Ion battery. The internal memory of 4GB expandable up to 32GB, with 512MB RAM enables seamless multitasking and provides adequate storage space. Ultra elegant & stylish in design it comes with a uniquely designed Back Cover with rich color options – Gold, White and Grey. Besides packing in the delightful features, the WOW factor for Millennia Q450 is its ramped up style quotient - a delight to have and nothing shorter than expensive brands. The all-in-one Millennia Q450 is priced affordably at just Rs. 4799/- and will be available in all retail stores. Y Guru Chairman and Managing Director - Celkon Mobiles, said that our vision is to make dreams come true with devices that are an aspiration to own but are also affordable. In continuation of that, we are today pleased to launch a powerful and latest feature loaded model with an ultra stylish design - Millennia Q450. The device is another milestone as it's a truly design oriented smartphone from Celkon's design house. This will be a game changer in the sub 5K category. We will continue to build such exciting portfolios to bring value for our customers. Chandigarh 26th March:- 'The Pakistan Show' 2015 opened to a colossal response here today at Himachal Bhawan. The show is being organized by the industry body PHD Chamber of Commerce and Industry and Rawalpindi Chamber of Commerce and Industry, Pakistan from 26th to 30th March, 2015. Ms Poonam Sharma, Mayor, UT Chandigarh formally inaugurated the Show. The Mayor appreciated the quality of exhibits. Calling upon the masses to visit and experience this exhibition, she said, it is a unique endeavor of both the Chambers of Commerce and Industry, adding that only such efforts as this go a long way in promoting not only business to business but people to people connect also. Dalip Sharma, Director, PHD Chamber said, that the visitors have been thronging the venue since morning. The footfall is increasing with the passage of time. The visitors, he said, seem visibly happy with the exhibits from Pakistan. Regional Trade Council, Rawalpindi Chamber of Commerce and Industry, Chairman, Khursheed Barlas said that Pak Show brings the two Punjabs together. These shows happening over a number of years are testimony to the fact that the business communities on both the sides of the border are keen and eager to see peace ushering in on both the countries. Barlas said, that the interest of both the countries for boosting and enhancing not only bilateral trade but the people to people connect as well is immense, adding that the governments on both sides are committed to boost bilateral trade so that peaceful development can be realised on both sides of the border sooner than later. He added that we hope that the two countries would engage with each other for a comprehensive and strategic boost to bilateral trade relations. Vikram Sahgal, Chairman, Chandigarh Committee, PHD Chamber said that recent back to back cross border visits of delegates of commerce and industry from both the countries have definitely given a boost to the bilateral trade. He said that such events go a long way in removing the coloured inhibitions among the masses in general and the business community in particular. Such events need to be held more frequently. Chandigarh 26th March:- Videocon, has unveiled its new TV campaign, 'India Ke Rang' in the segment. Reinforcing its commitment of durability and educating the masses of the functionality of a Washing Machine, the new TVC pays tribute to Videocon's exceptional performance in the category for over three decades with more than 50 million satisfied customers. Acknowledging unique relationships and depicting million emotions of a diverse country like India, the TVC features different families across the country celebrating their distinct festivals and leading their day-to-day life. In all the different situations, Videocon is seen to be a common aspect, lending its expertise in the Washing Machine segment to brighten up their lives and keeping them carefree. The concept is supported by the tag line, 'Hum Nikhareinge Zindagi ke Har Rang, Videocon Washing Machine'. The new TVC is a soulful rendition that reminisces about Videocon's cult TVCs around Washing Machine. Speaking about the new Campaign Sunil Tandon, Group CMO, Videocon said that Videocon was the first company to launch Washing Machines in the country and this segment is one of our key strengths and among the best selling product categories. Our past TVCs around Washing Machine have been successful by not only being able to effectively communicate the essence of the product but also to educate the masses about its functionality i.e. from cleaning, to washing and then drying. Known to be a cult TVC with a memorable jingle, we wanted to recreate the same magic again. We aim to make the Washing Machine segment synonymous to Videocon, and are confident that people will be able to relate to the new TVC that we have crafted.